My bachelor’s study Communication and Multimedia Design (CMD) taught me to be innovative and creative with media instruments. This concerns that I can lift any company to a higher level of marketing and social binding with customers. Making market analysis, online/offline marketing strategies, usability optimization or fixing online/offline communication problems are all in a now-a-days work. I received my bachelor’s degree in 2010 for writing a thesis on the optimization of electronicarts.nl usability to improve natural online sales. 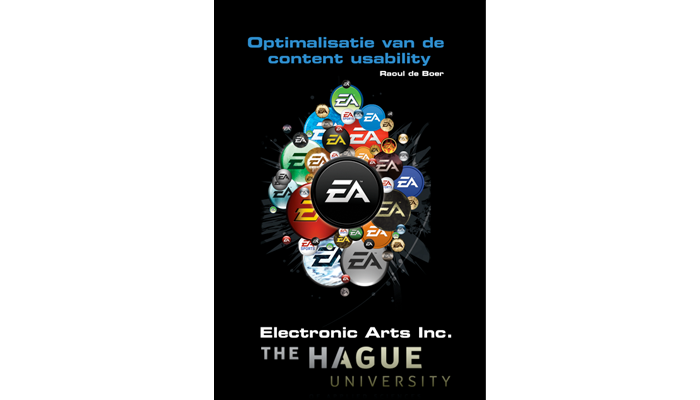 The thesis was rewarded a grade 8.0 by The Hague University and Electronic Arts Inc.. You can find more information about Communication and Multimedia Design on the website of The Hague University, yet the study was partially in Dutch so as the description. My thesis and previous efforts in my study were rewarded by the professors of my education through nominating me for the “most potential student” award of the HOT100. The Hague University asked me to represent them on the HOT100 awards at the PICNIC2010. This was a great experience to share knowledge and increase my network.